Specialized design for long loads industry as plasterboard, MDF board, timber, wooden doors, module cartons, we proudly introduce our A-8U fully-auto vertical pallet strapping machine equipped with auto batten loading systems and integrate with ALPHA-SPA fully-auto orbital wrapping machine to fulfill auto battens loading, PET vertical strapping, film wrapping applied on the products at one complete and consistent of auto packaging line. This turnkey system increases production capacity, reduce packaging time and workforce; moreover, provides good protection of long loads safe transportation and storage by tightly keeping long loads for long period of time. 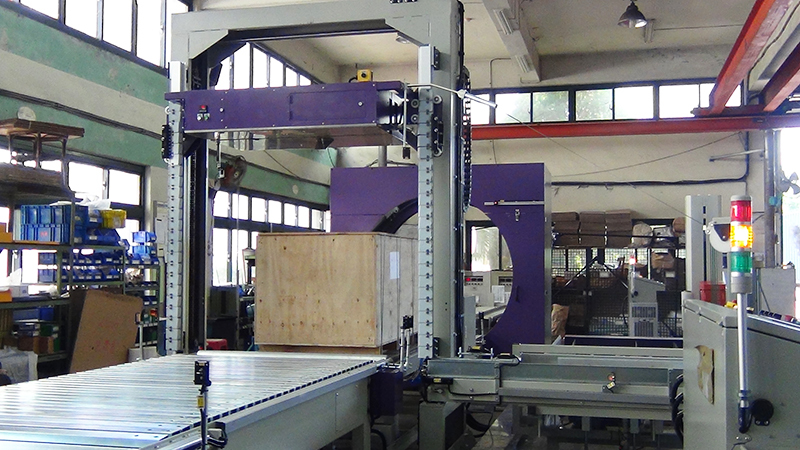 A-8U fully auto vertical pallet strapping machine with top sealing head, performs high strapping tension. Auto battens loading systems precisely provide batten and strapping machine auto apply PET straps together with battens on specified positions accurately. 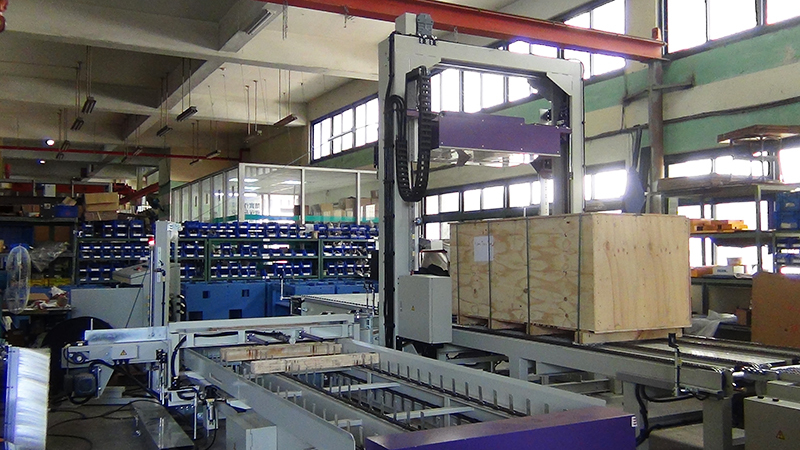 Long loads continually travel to wrapping zone and stabilized by film wrapping and power chains conveyor transmission. ALPHA-SPA performs orbital consistent film wrapping for providing good protection and dust-proof. 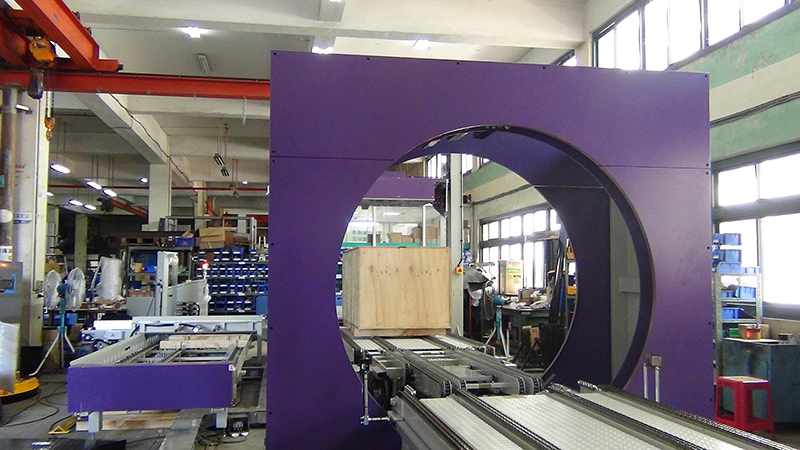 Machine is equipped with individual control box and operator panel that large display of 7.4” enables operators easily monitor all the strapping and wrapping process. HMI control panel provides fast and easy to detect of operating and service-related issues. All machines and surrounding equipment are heavy duty made. Reliability, efficiency, lower cost of maintenance and sustainable for long life. As a leading manufacturer in in-line strapping and wrapping sectors, we continually provide reliable solutions to meet the customers’ demands in the varieties of industries. Need more information about this complete line, please feel free to contact us.